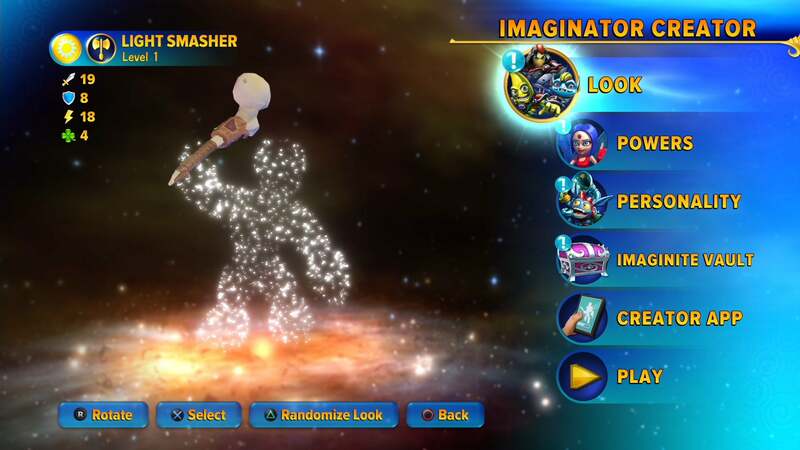 The idea was to show folks a quick five minute video of the character creation process in Skylanders: Imaginators. What I ended up is a nearly 20 minute testament to how deep and compelling this year's gimmick turned out. It's beyond gimmick, really. 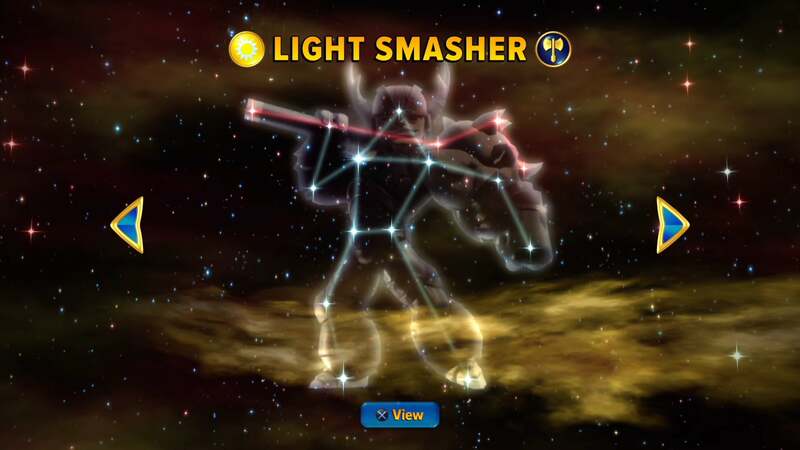 Skylanders: Giants had large characters. Swap Force had characters that could break apart and reform. Trap Team let players capture enemies, and SuperChargers gave us vehicles. Those are gimmicks. 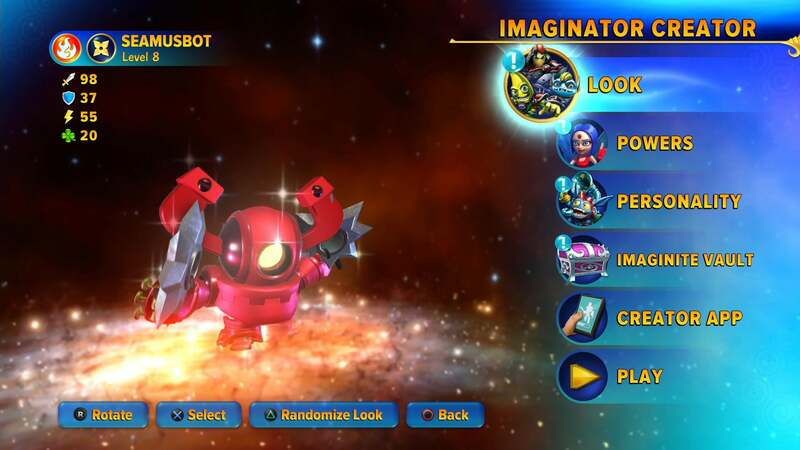 Being able to create your very own Skylander character without having the end result feel generic? That's a game-changer. I've created three characters so far, basing each on a member of my family. There's my wife, Faemily. You really can count on her sarcasm. My son Seamus, the ninja robot. And finally his twin brother, Archer, whose character I create in the video above. 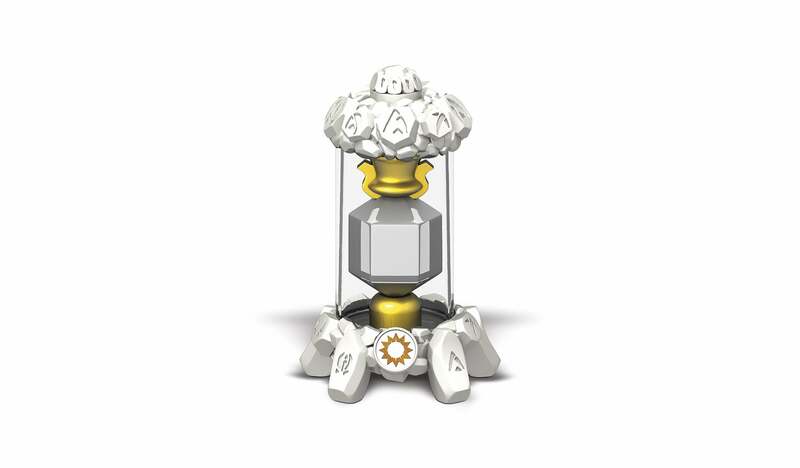 It all begins with a Creation Crystal. These $11 devices (one comes in a starter pack) come in 10 different flavours, one for each element in the game. For Archer's character I chose a Light crystal, because he is much nicer than his brother. Once a Creation Crystal is placed on the portal, the player must select a Combat Class. There are 10 of these as well, from archers to ninja to sorcerers. This decision is important, as once it is decided it can never be changed. It is locked to that Creation Crystal. Archer, while very sweet, is a bit brutal in his sweetness. His hugs hurt. 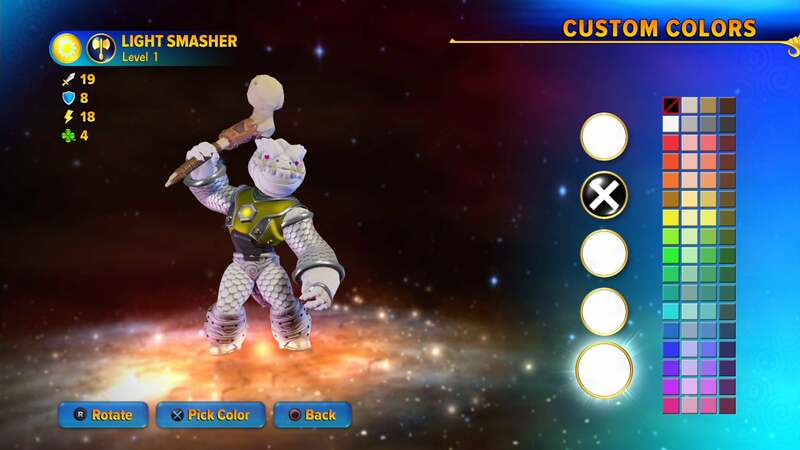 So I went with the heavy weapon wielding Smasher. 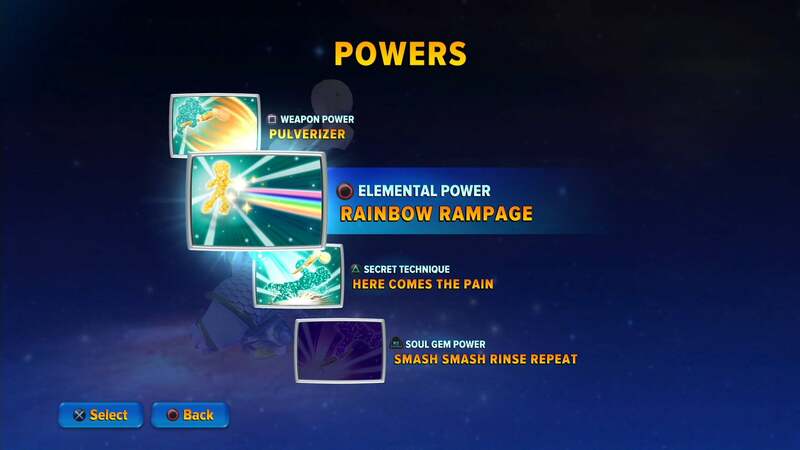 From a blank slate players can choose heads, arms, bodies, legs, backpacks, headwear, armbands, legbands, belts, weapons and tails, each with more than 60 or so options (excepting tails) unlocked either from the start or through chests earned during gameplay (or purchased via microtransactions). Parts can be coloured either individually or as sets. There are a number of premade colour combinations, any of which can be edited on the fly to create just the right look. 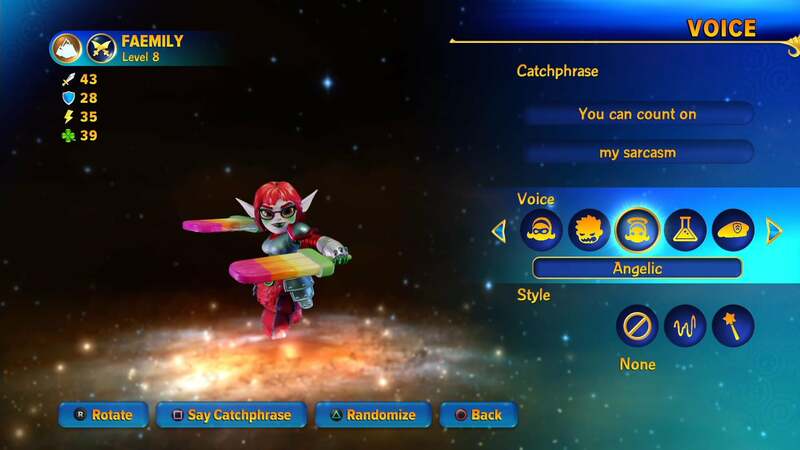 Your created characters also get their own signature catchphrase, selecting a beginning and ending from a series of pre-selected phrases. Some of them are very silly. 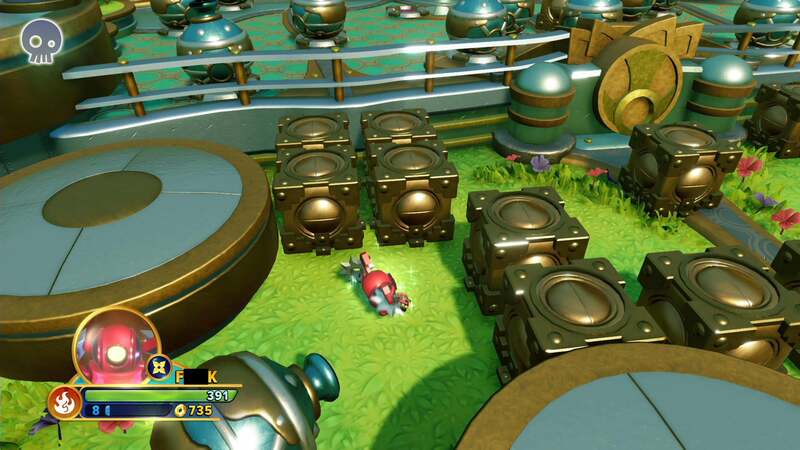 Voices can be changed, then modulated via special effects. Characters can also be named but be careful — there does not seem to be a filter, and profanity is like chocolate to small children. 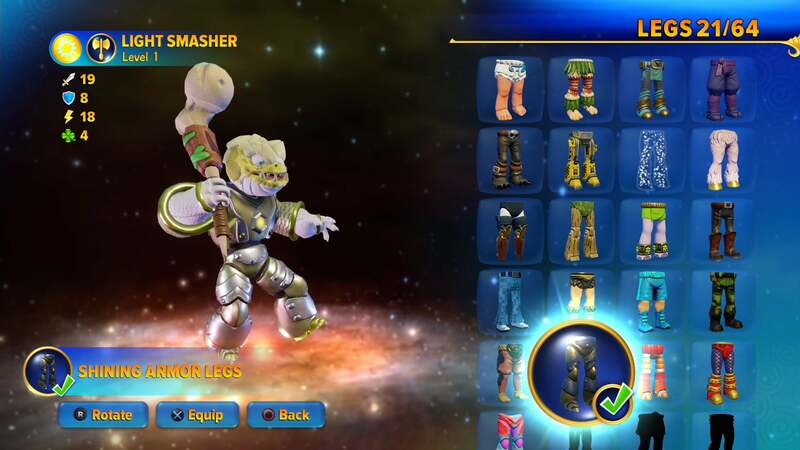 Then it's on to choosing your characters' skill set, with more unlocked as they gain levels in the game. 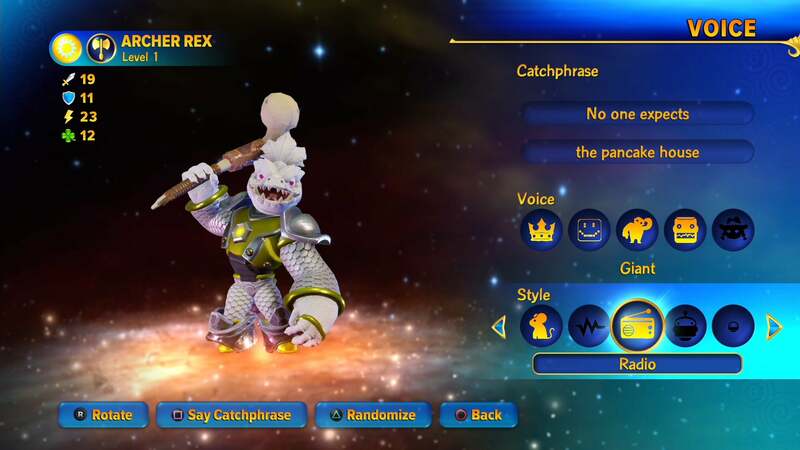 The ultimate result of this nearly 20 minutes of work (I could have gone much longer) is a fully playable character who feels not just like your own creation, but like a creation that belongs in the colourful world of Skylands. Now a lot of players are worried about the cost of Creation Crystals, and how in order to create one Combat Class from every element would require 100 of them, but I've played through most of the game so far with my wife's weird naga thing, and I've been perfectly content. Need to give us the ability to erase a crystal without the use of a 3ds. Even if they do allow us to they will still sell most people multiple crystals as what if you want 2 fire classes? You will need 2 fire crystals. You can't erase crystals??? Wtf? We stopped with Chargers, my kid just lost all interest with them. 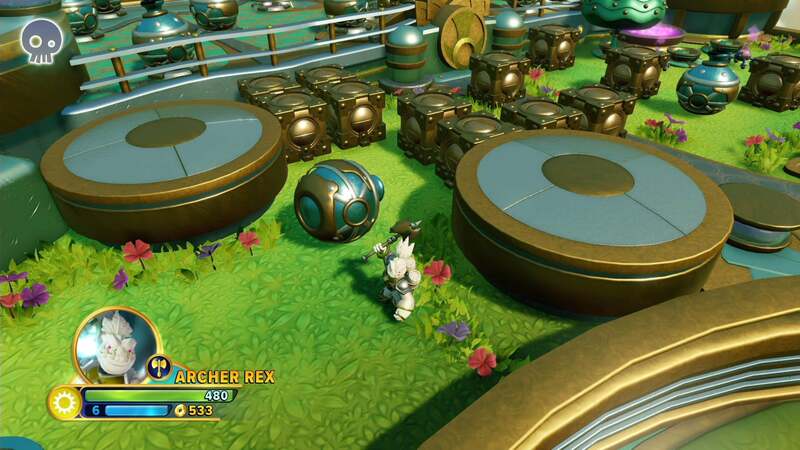 When I saw this one, packed full of microtransactions for equipment (yes I know people, you bought toys for the game beforehand, but you at least *got a toy*), now this? It feels like a last ditch effort to make the game sell. Well to be honest the micro transactions can be avoided completely and you can get all the loot from them just by playing the game. Only really allows you to get the items quicker is all. As for the crystals, yeah its annoying. Think the wife and I will just have 1 of each crystal so that we can end up with 1 of each class. They can be, but they're still there and that's an issue for me personally. Previous to this micro-transactions came in the form of the little toys and that was really it, now, they're incorporeal, they're purely digital, that's a pretty shonky step. But that's just a personal opinion. I just don't like it, whether you can or can't earn them in game or not. You can get them 3d printed right...?